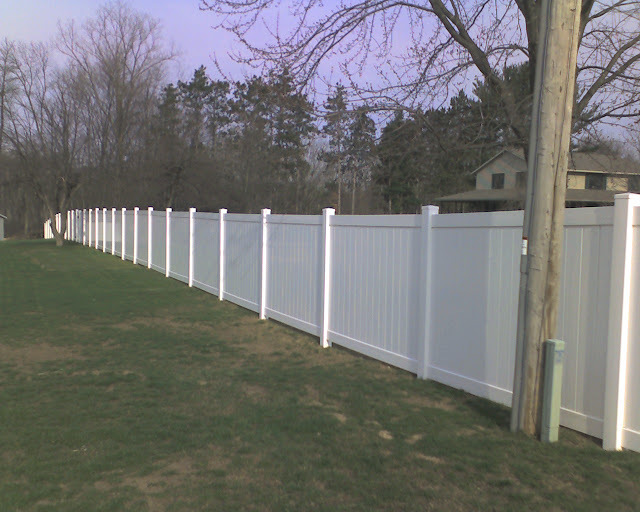 Vinyl Fence is an expensive product, and it will cost you even more of it is not installed properly or if you buy an inferior brand. At least twice a week we have a customer ask us what it will cost to have it installed, only for them to tell us “It’s only $70 a panel at the local (insert name of box store here)” All we can say to these customers is that you get what pay for. The first indicator as to whether or not the vinyl fence you are looking for is a quality product is how it attaches to the posts. Many box store vinyl panels install to the posts with little metal or plastic brackets. This doesn’t make for a good fence. These little brackets end up being breaking points under winds or impact. The best brands will always install into the posts through slots. Next, shy away from any brand that installs over wood posts. Any quality vinyl product will have thick enough sidewalls that it will not need a wood post inside of it. The only thing a quality installer will put inside your posts is a steel channel stiffener, used generally on the gate posts for rigidity. Most importantly, check the online portfolio of any fence company or installer you are considering hiring. Observe how they handle slopes, because the majority of yards are not perfectly flat. See how their lines run, that they are pleasing to the eye and do not look like a jagged roller coaster. Make sure they use concrete on every post, not just the end and gate posts. At Pro Fence we sell and install Bufftech, but this is by no means the only quality brand out there. 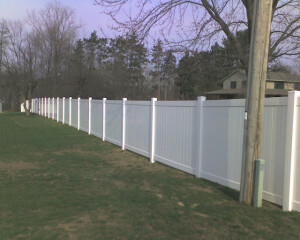 We also recommend vinyl fence by Digger Specialties, and Generations Vinyl Fence. But honestly, any fence brand that doesn’t install with brackets or over wood posts will probably do well for you. Check out our Social media pages for more pictures, tips, etc.